I thought that you might like some eye candy, just in case you didn't get any treats from the Easter bunny. Here are two new scarves from Fiddlesticks Knitting which can be joined with a twist to form Mobius'. I think it's tricky to make that one plural. What was even trickier was trying to name the pattern. We started out with "Twice as Nice" and "Twisted Twins". Well the former was OK, but didn't really sparkle, whereas the latter was just a little too weird. I needed my thinking cap. I began picturing summer things, warm weather, skinny tops, strawberries, ice cubes, fizzy drinks with swizzle sticks. I said "Swizzlers" to Dorothy and she immediately responded with Twizzlers - scarves with a twist! Both scarves are knit in Fiddlesticks Knitting Country Silk - demi. 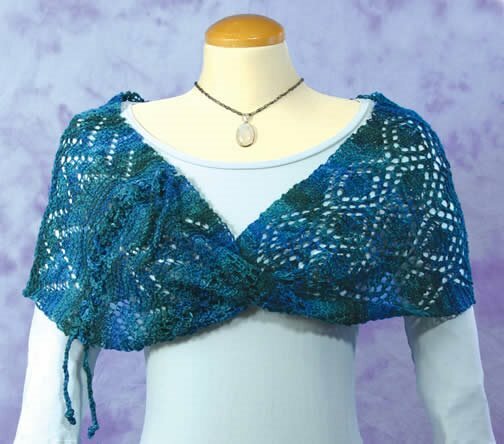 One demi skein will make one scarf - shown here in Teal and Copper. We should have Cream Soda available in the demi skeins soon, as well - swirl it up into one of these! Lucy Neatby has a new scarf out too, Lollipops. 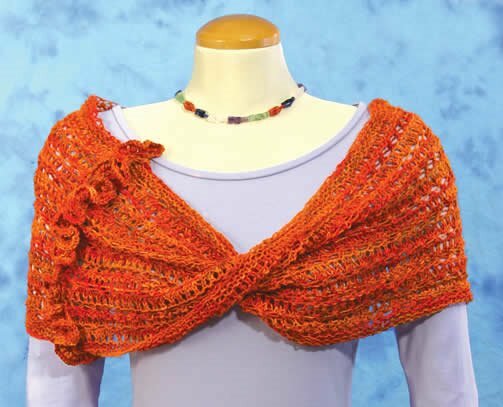 It's a fun knit and a great way to use up bits of your stash. 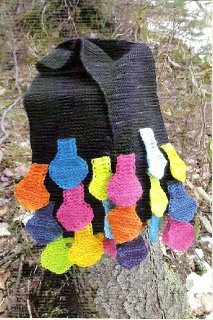 Nothing is ever predictable with Lucy's work, so I am not going to give away the secret of how the lollipops are attached to the scarf - it's very clever!